PTMSC Blog : Thank You for Giving BIG! 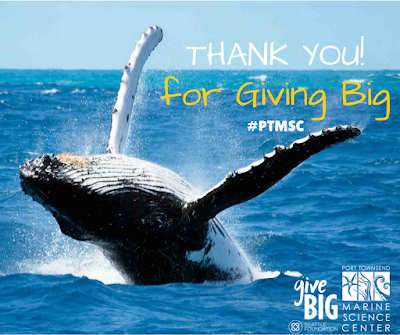 Thank you for your generous donation during the recent GiveBig campaign. Because of you, the one-day campaign ended with a total of $24,794, exceeding our goal of $22,000. Didn't get a chance to donate on the Big Day? You can Donate now and help support kids summer camps today! The funds are critical now as we receive camp scholarship requests for families with financial need and as we work toward increasing our capacity to offer camps to more kids. In this time of computer games and screens, getting kids out to the beach to get sandy and wet, is transformative. Your generous donation will change lives. Thank you! Today is the Day! Take action for kids! Summer Camps Change Lives Now More Than Ever!